LIMNI. 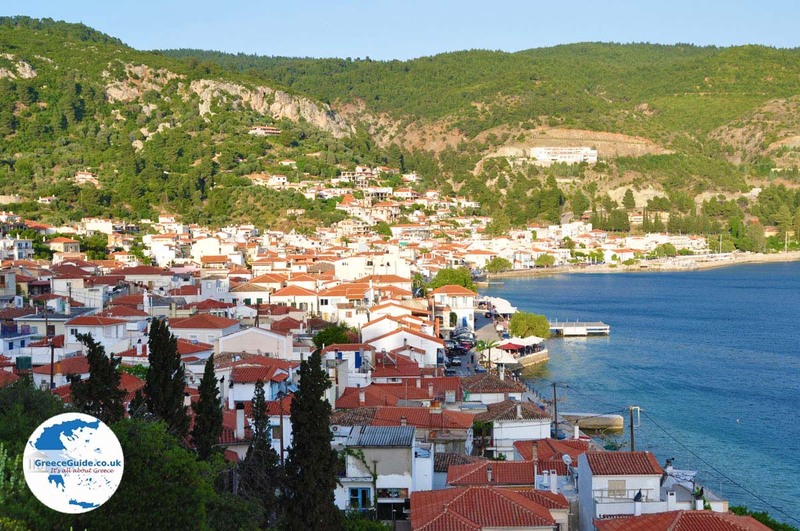 Limni is one of the nicest and most traditional villages of Evia. It is located 88 km. 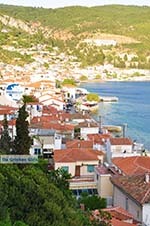 northwest of Halkida and it is built against the hills (the Kandili Hills). Even at first glance you will be impressed; the narrow alleys, the nice harbor, the promenade with beautiful terraces, the various vis taverns and ouzeries at the waterfront. 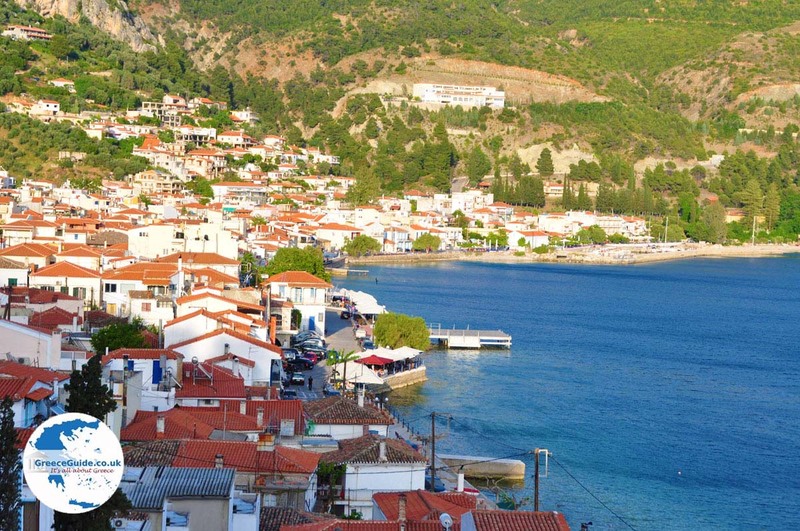 The wonderful views to the Gulf of Evia are breathtaking! 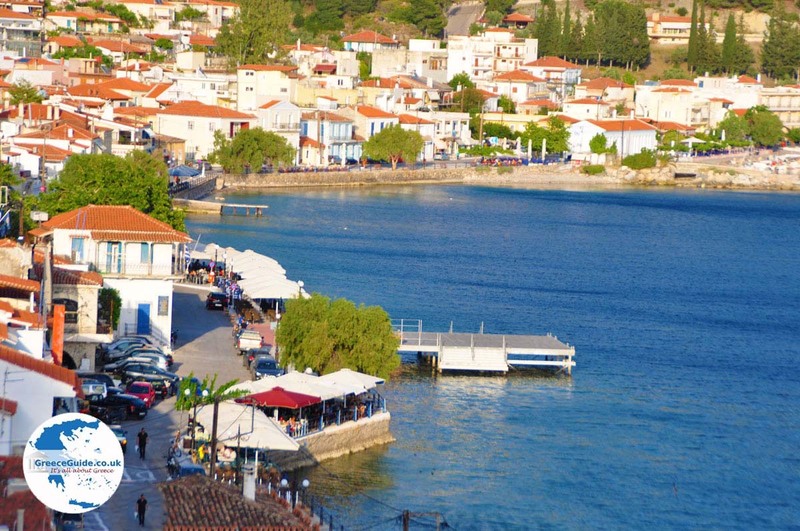 This town is very crowded in the summer, especially by Greek tourists from the mainland. Limni is an ancient city with a rich history, it is actually the old Elymnion. 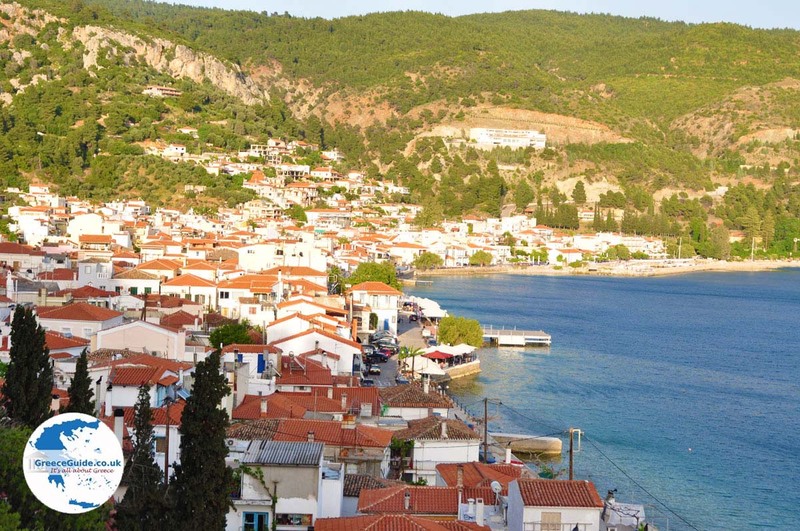 From 1 to August 15, every year the "Elimnia parties" are organized, with folk festivals, exhibitions, performances and concerts. On 7 and 8 September, every year a large festival in honor of the Blessed Mother Mary takes place; with a procession in the village and the icon of the Holy Mother is carried around. At the end of the procession, the icon will be auctioned and the one that offers the most money may return the icon personally to the church. The applied money is for the party with music and dance at night. 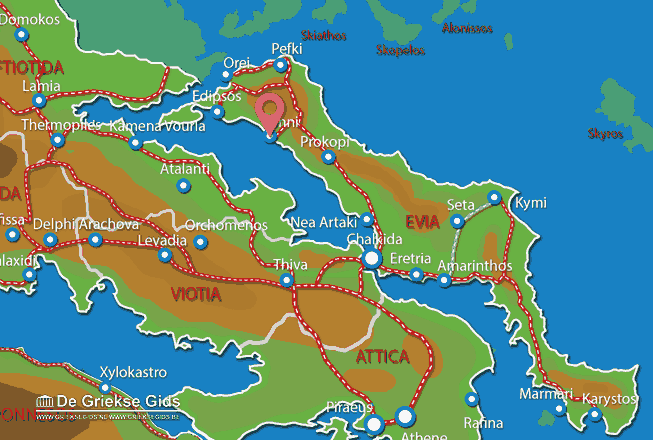 Euboea: Where on the map is Limni located?